In our family, swimming is an essential part of summer. I grew up making daily trips to our community swimming pool and Jeff spent countless afternoons at his family’s cabin on the lake. We want our girls to make the same fantastic memories of summer fun in the water, and we believe swimming lessons are an important first step. 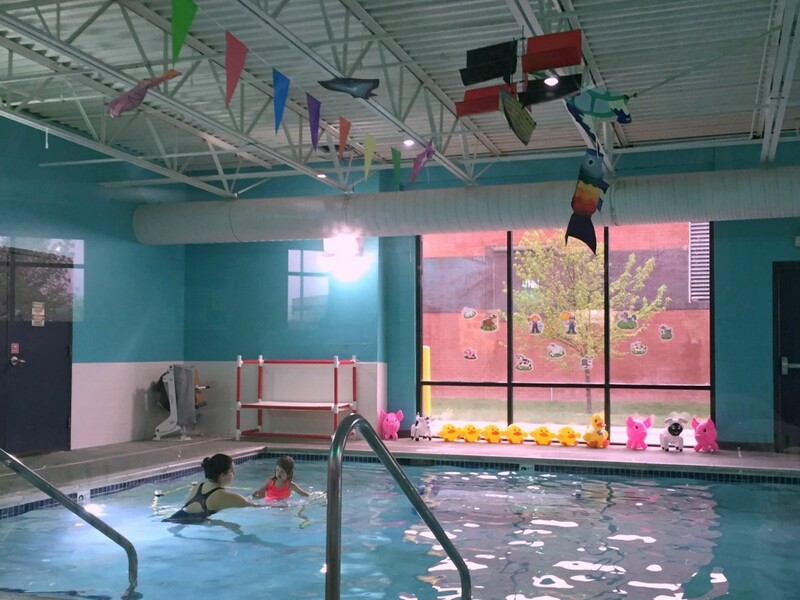 When Swimtastic Omaha contacted me about reviewing their swim school program, I couldn’t wait to get the girls started in lessons. Eleanor has done two months to date, and Everly is working through her first four week session. 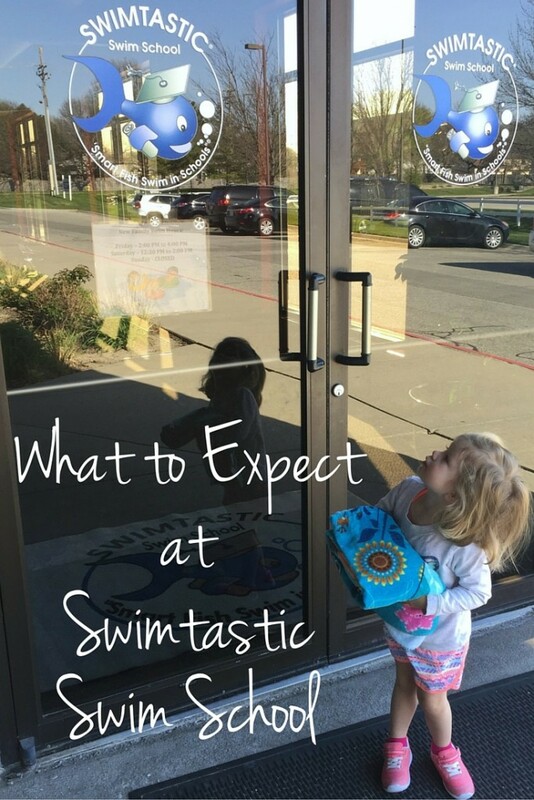 When we arrived at Swimtastic for our first session, we were greeted at the front desk where I signed consent forms for the girls and bought them both reusable swim diapers (all kids 3 and under must wear them). We then took a tour of the facility noting the observation room for parents, locker rooms for changing/showering, and the meeting place for each lesson. The small class sizes (there have been 2-3 students each week) mean that Eleanor gets the personalized attention she needs while also learning important skills like listening in a group and waiting her turn. The instructors meet each student where they are and help them progress at their own pace. Eleanor has been working on a wide array of skills like reaching and scooping with her arms, kicking, and floating. I simply cannot say enough good things about Eleanor’s instructor, Miss Liz. She’s kind and encouraging with the students in her class. She also has an uncanny ability to get toddlers to cooperate and try new things, and if you’ve ever tried to negotiate with a stubborn two year old, you know what a skill that is! She goes out of her way to make lessons FUN for the kids – singing songs and using creative stories to go along with the different skills the students are working on. The progress I’ve seen in Eleanor’s comfort level in the water and beginner swimming skills has been amazing. Seeing my two year old kick, reach, float, glide, and jump into the water has been SO much fun! These are all skills that we’ve tried to work on with her ourselves, but Miss Liz presents these concepts in a way that really clicks with young learners. This one can be tough for a distractible toddler, but listening to instructors/ parents/ lifeguards is vital for water safety. 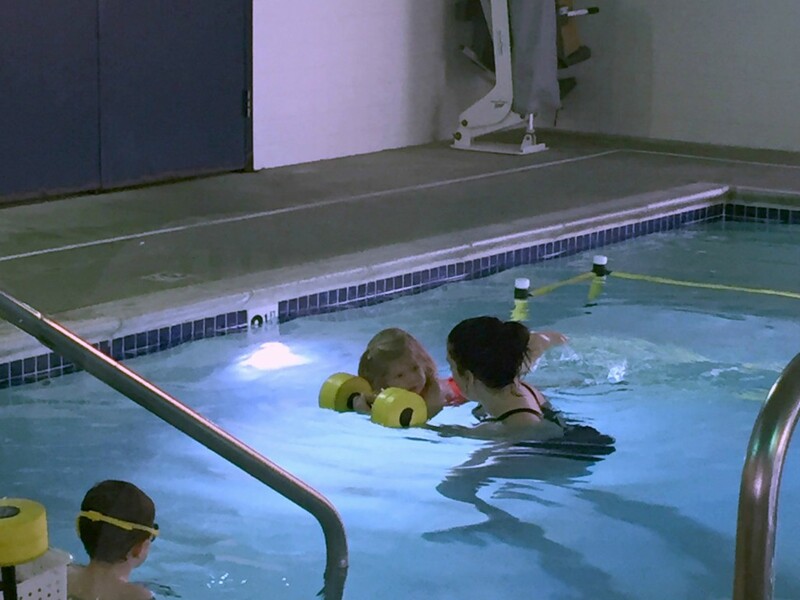 The Swimtastic instructors gently redirect the kiddos and help stress the importance of being aware of (and following through on) directions from adults. Having respect (and a healthy fear) of the water is important. I love that Swimtastic has strict guidelines about appropriate behavior in the water and on the pool deck. Little ones Eleanor’s age have lots of wiggles, but over the course of the sessions, all the kids have improved on keeping their bodies under control in and around the water. Swimtastic kiddos are taught to kick their legs and reach with their arms if they feel as though they are in trouble in the water. If Eleanor ever finds herself deeper than she can touch, I hope that she’ll remember to make the split second decision to keep moving! That’s a long way of saying “get out of the pool independently!” It’s always been difficult for Eleanor to push her body up over the edge of the pool, but on the very first day, Miss Liz showed an awesome strategy that works for little ones. Eleanor places each elbow up on the side of the pool, pushes up her belly, and then follows with each knee. I love that she now can get up on the side of the pool all on her own! Swimtastic has an awesome booklet about water safety that you can download here! Swimtastic Omaha is now enrolling for the Summer Session which runs May 31 – August 20 (you can jump into lessons at any time)! Each class meets once a week for 25-30 minutes. Learn more and connect with Swimtastic Omaha on Facebook and Twitter! Call (402) 496-SWIM or visit Swimtastic.com to reserve your child’s spot! 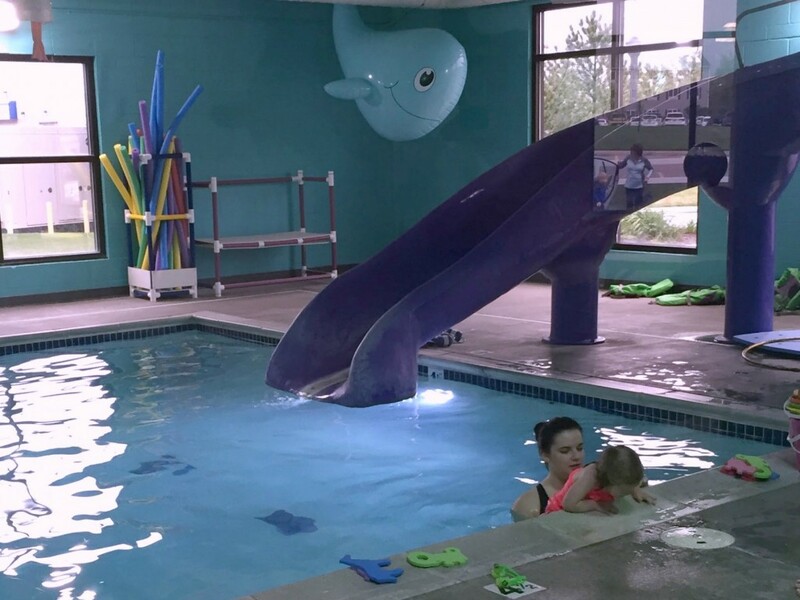 Have your kiddos taken swimming lessons? 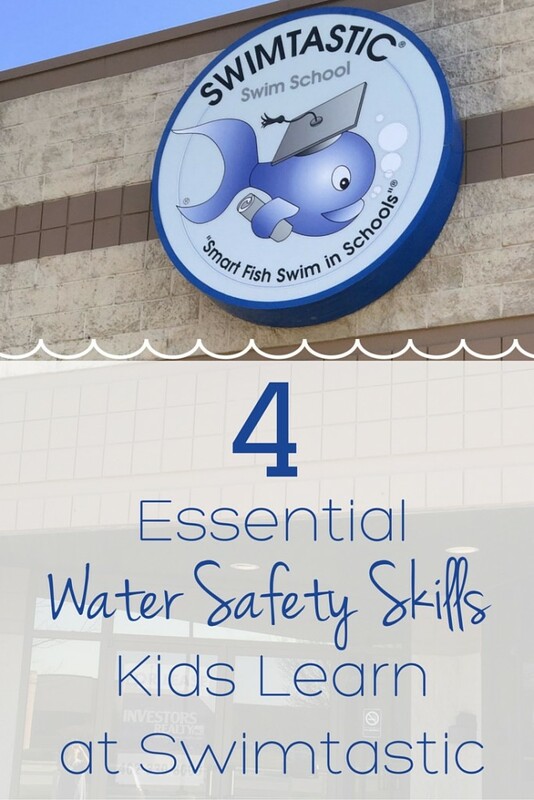 What water safety tips and tricks do you have?